is the Best IAC Club Website. the judges of the first national website competition after careful consideration of seven short-listed sites. 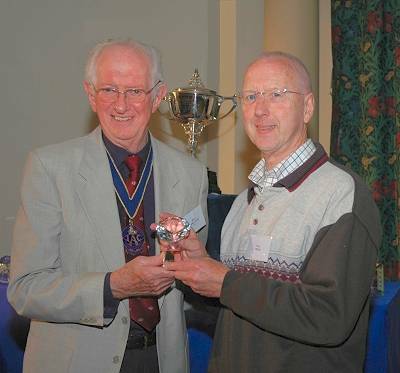 Here IAC President, Reg Lancaster, presents the award to Surrey Border's webmaster, Neil Cryer, at BIAFF 2011 in Harrogate. Read what the webmaster Neil Cryer says about the site.